The 2015 FFnP PRISM finalists announced! Congrats to three of the SFR Brigade members who have made it into the PRISM finals! Firstly Anna Hackett and Nina Croft are both finalists in the Futuristic category. And although it's not technically SFR, congrats also to Misa Buckley for being a finalist in the Novella category. Good luck in the next stage of the contest! You can check out the complete list of finalists by visiting the page HERE. 2013 was a year of great change for me on the writing front. Over the preceding twelve months I'd finished two SFR's, made it to the third round of the big 2012 Harper Voyager open call with the first draft of My Name Is A'yen, semi-finalled in a contest with an inspirational historical romance, found out I was going to be an aunt for the first time, and lost my grandmother at whose house I'd rediscovered my words in 2011. I was trying to figure out where I was supposed to go next on the writing front. Should I keep trying to fit into the inspirational romance box? Should I embrace all the strange places my SFR was taking me? Should I keep trying to do submit My Name Is A'yen to publishers, hoping for more than a form rejection? Should I keep my membership in the Christian writing organization? Should I go to their conference that year or should I stay home? At the beginning of July, one of my friends emailed me saying they needed a third roomie at said conference and was I interested. Every penny I needed for the trip came together in about four days, including the cheapest airplane ticket I've ever seen. So I went. And had the best writing conference of my life, to date. I went for one reason: James Scott Bell's all day class called Quantum Story. I had no idea what all it was going to cover, but I wanted to be in it. As awesome as his craft books are, learning from him in person is even MORE awesome. But before the class on Friday, I had to sit through the first keynote address and the opening of the conference. Remember, this is a Christian conference. The biggest Christian fiction conference in the country, possibly the world. The entire theme of the conference that year was how Christians couldn't write anything but Christian fiction. That ticked me off, but I was there for Jim Bell's class and to see some friends I hadn't seen in a couple of years. Not the keynote speaker and activities designed to stuff me in a box I had grown to hate. I sat down in the class on Friday morning with no idea what we were going to cover. It turned out to be the class his Write Your Novel From The Middle book is based on. It changed the way I approach story structure and plotting, and it's awesome! If you're a writer, go buy it. The last forty-five minutes of the class, Jim sat down and talked to us about something he feels strongly about: finding your writing joy. Everything else I had heard so far at the conference, about how I didn't belong anywhere else in the market and Christians had no business writing general market anything let alone steamy general market romance, disappeared. Jim said we needed to find the genre and market that brought us joy. Because joy in the writer becomes joy in the novel, and readers can sense it. I sat there listening to him, and started comparing my experience writing the historical romance versus writing My Name Is A'yen, The King's Mistress, and half of To Save A Life. While I enjoyed the historical romance, trying to fit myself into the box that came with it had sucked all the joy out of my writing. When I wrote My Name Is A'yen, it was totally different. I wrote every day. I WANTED to write every day. I couldn't wait to see what was going to happen next. I found my writing joy. And I went up to him after the class, thanked him for talking to us about it, and told him I'd found my joy. He about squeezed my hand off he was so happy for me. The next evening while sitting in the hotel lobby with my friends and enjoying a Cosmo, every single one of them remarked on how happy I looked. So I told them what I'd decided. Every single one of them cheered me on. When I left that conference, I left the inspirational market. I've never looked back, and I don't miss it. The secret to being a happy writer is writing what brings you joy. For me, that means hero-focused romance. My novels are deep and complex, and deal with heavy themes. But when you look past that, you'll find an author who's in love with words and having the time of her life. It doesn't matter what ups and downs I go through, or what the market does. As long as I stay in my writing joy, the words pour out of me. And I don't want it any other way. 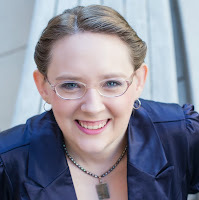 Rachel Leigh Smith writes romance for the hero lover. She lives in central Louisiana with her family and a half-crazed calico. When not writing, which isn’t often, she’s hanging with her family, doing counted cross-stitch, or yakking about life, the universe, and everything with her besties. 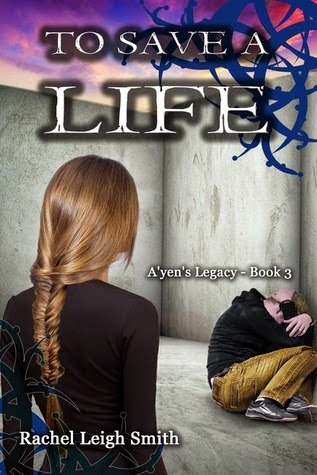 The third A'yen's Legacy novel, To Save A Life, released on May 4th. All the buy links are here. 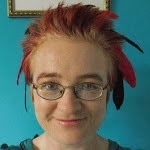 You can find her at www.rachelleighsmith.com. Disclaimer: The views and opinions expressed in this guest post are solely that of the author and not of the SFR Brigade. Hi there! 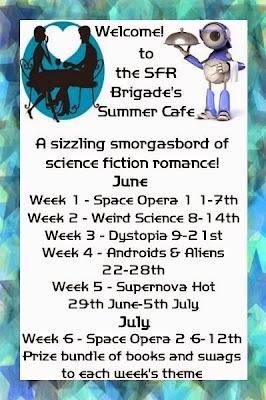 It’s great to stop by the SFR Brigade today to help celebrate the release of my latest SFR book. Yay. My latest release is the fourth book in my RECAST series. In this book I wanted to explore what happens when an AI gets the chance to leave all responsibility behind to chase his own adventure. Can a machine really go on an adventure because he’s drawn to a woman and is desperate to encounter love? Yes, of course. And this is what Walsh does. But he’s not the first—and certainly won’t be the last robot—to chase a dream. The other day we went to see Avengers: Age of Ultron. I love what Marvel is doing with their movies and shows, but that’s not what I want to focus on today. I want to chat about Ultron, the super villain in this movie. As much as we’re supposed to despise him because he’s an evil machine who wants to destroy the Avengers and the world, I couldn’t help but feel some sympathy towards him. Ultron doesn’t start out evil. He’s actually a great idea born from two very brilliant minds who want to protect the world from its biggest threat. So when you put it that way, Ultron’s reasoning makes sense. I mean, who is humanity’s biggest threat? Ourselves. Humans often treat each other like crap, and don’t respect nature. So when you put this into a program, what was Ultron supposed to do? Of course it makes sense that he would want to eradicate humans. It’s what any analytical mind would conclude… and this is what separates human from machine. Who says that robots and androids can’t become more than what their fabrication settings tell them to be? What if they could develop real feelings and affection, know the difference between pleasure and pain? Wouldn’t that be a fascinating possibility? What about you? Do you like robots, or do they freak you out? I for one wouldn’t mind seeing robots in our future. This week's recommendation comes from Rachel Leigh Smith. For me, this novel is the quintessential science fiction romance. It combines just the right amount of tech, just the right amount of fantasy, and just the right amount of things science can't yet explain, with rich, complex characters and smooth, almost lyrical prose. The world Pippa has created is one I want to spend more time in. There's so much to explore and learn about. And this time, I reached The End knowing the sequel is coming soon. A very short primer on attacks and methods. John Carter of Mars aside, there are plenty of practically unbreakable ciphers, but there are even more ways to sound like a complete idiot when you write about them. Some vocabulary first. A cryptosystem is a function that takes one set of symbols to another in a uniquely reversible manner. The key determines the specific way that this happens. Plaintext refers to what you want to hide and ciphertext to the stuff that's hidden. An attack is an approach to finding the key. A good modern cryptosystem will withstand an attack where both the plaintext and ciphertext are known. First and foremost, the security of a cryptosystem lies entirely in the key, and not at all in secrecy about the system itself. That James Bond film, “From Russia with Love,” where he and a suitably buxom cipher clerk steal a cipher machine. Forget it. They were amateurs. They could have pulled out and copied the rotors, returned the machine and been in the British embassy in time for tea or martinis with no one the wiser. A “key search” attacks a known cryptosystem by searching for a key that works. Build the fastest computer you can and try to search every possible key. If you do this for a lot of messages, you'll hit the key often enough to understand the communications. The “bombe” was at Bletchley Park was a fast key searching machine. It's also why we use big keys, like 1024 bits. No use in making it too easy for the NSA, is there? A side attack uses some other information to break the key. These are seriously cool, and you want your hacker to use one on her adversary. A classic example monitors power use. Computers use different amounts of power and time for different arithmetic operations. Ciphering with your 1024 bit key uses a lot of arithmetic. So you monitor your target by metering its power use. Researchers have used the sound of the machines' fan, the brightness of a power LED with a telescope and many other tricks to limit the number of possible keys to a search-able number. You can even buy special purpose boards that will do this with “sealed” devices. Coarse mouthed, hard drinking and bound only by the laws of physics, the space pirate, “Cynthia the Invincible” is on the run with from the alien Cataxi. 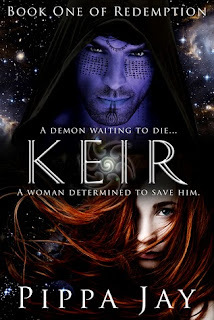 She is stranded in Earth's dim prehistory when a lucky shot on her ship destroys the jump unit. Marooned in 1810 she is forced to hide while the ship tries to repair itself. Since she enjoys playing the computer game "Jane Austen World" she hides in Regency England. She finds that real life in the Regency is different from the game. Especially when it comes to love. Living in the Regency poses many novel challenges for her. Mundane things like eating real food rather than the ship's synthetics or learning to ride a horse with a mind of her own pose obstacles that she must learn to overcome. Others are subtle, such as the withdrawal from the drugs that allow her to conquer the long times required for interstellar travel, even with a jump drive. Even the process of learning to live with other people rather than alone in a small ship can cause problems. Especially when she faces the moral quandary of whether to use her advanced survival technology to save a friend's life. Even worse, one of the less pleasant alien species is trying to alter Earth's history to eliminate the competition. These problems would sort themselves out, given time. Does she have the time? 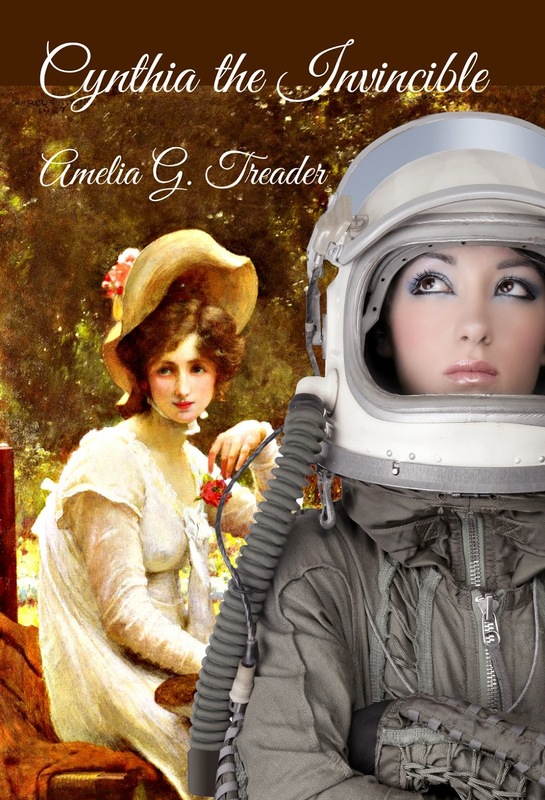 Amelia Grace Treader is an author of (mostly) historical romances, with the occasional science fiction romance thrown in for good measure. Based near Atlanta, she writes a unique combination of romance and action. She enjoys reading history, science fiction, and historical romance. 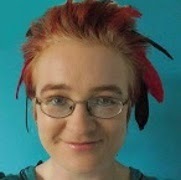 Her day job has something to do with computers and making life difficult for college students. While a child of the American South, She's also an Anglophile and not unfamiliar with the south of England. They're more alike than you know - There's even a Krispy Kreme doughnut shop in the Oracle in Reading, and they're just as good as in Kennesaw. 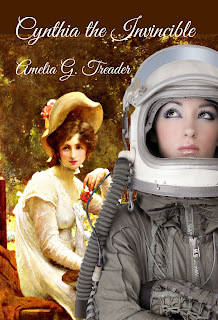 Despite the descriptive name of romance as “bodice rippers,” Amelia tends to write more in the sweet style of "bodice unbuttoners" where the romance is there but not explicit. After all, a good quality bodice was expensive, and only a cad or puppy would damage it. Besides that, tearing a hole in a space suit could have unfortunate consequences. My name is Yolanda Sfetsos and I live in Sydney, Australia. I love to tell stories and spend most of my days coming up with new ideas to write about, and then turn those ideas into actual stories. I also love to read, watch TV shows (though I’ve been a bit disappointed with my faves lately), love going for walks, and just hanging out with my hubby and daughter. I collect books because I’m a total bibliophile, and love stationery. 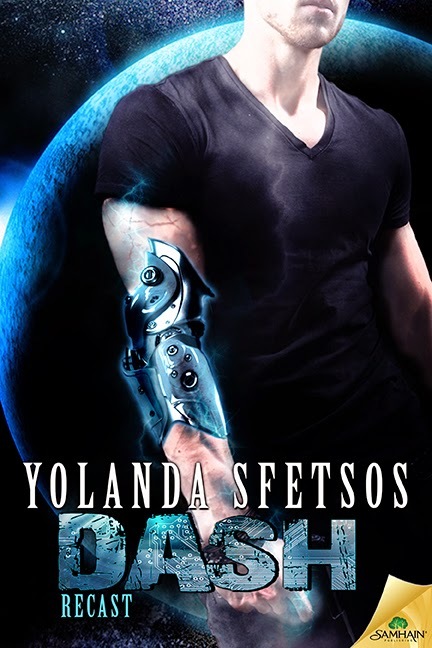 DASH is the fourth book in my SFR series called RECAST. 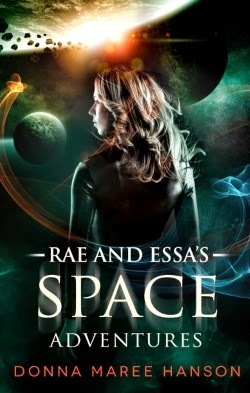 It’s set in a fictional galaxy and each book features a different couple, but they’re all connected. This one is set after the Clash Arena falls, which means that the timeline coincides with both CLASH and SHIVER. I’ve always been fascinated with robots, so I knew that writing a story like this would someday be on the cards. Not to mention that I’d planned to write it since the beginning of the series. It depends. Sometimes the name pops into my head. Other times the personality, or even the looks. Sometimes everything comes at the same time. Or I might get the character’s story and what they look like before I settle on an appropriate name. It’s always different, which makes everything so much fun! Never give up! And no matter what, just write. You can read all you want about writing and think about doing it as well, but if you don’t actually sit down and get started… you’ll never write. So write a lot, and make sure you reward yourself whenever you reach a milestone. If you had the power of time travel, is there anything you would go back and change? Why/why not? : I tend to think that things worked out the way they did for a reason, so no, I probably wouldn’t change anything. Even if I do want to stop every evil act ever performed against a person or group because of unfounded prejudice. What super-power would you choose? : Man, I’d love to fly. Who wouldn’t, right? Coffee, tea or wine? : Coffee and tea. Depends on the time of day and the mood I’m in. What is your favourite book? (aside from one of your own! ): There are SO many books that I love and adore. But for the sake of choosing one, I’m going to say FAHRENHEIT 451 by Ray Bradbury because it’s one of a handful of books that affected my life and led me on my writing path. Favourite genre and why? : I love a variety of genres—urban fantasy, horror, SciFi, thrillers, mysteries—but I find that no matter which one I choose, I always like a little mystery in my stories. Favourite colour? : Red. No, black. Okay, red and black. Upcoming news and plans for the future? : DASH will be released from Samhain Publishing on May 26, so I’m very excited about that. 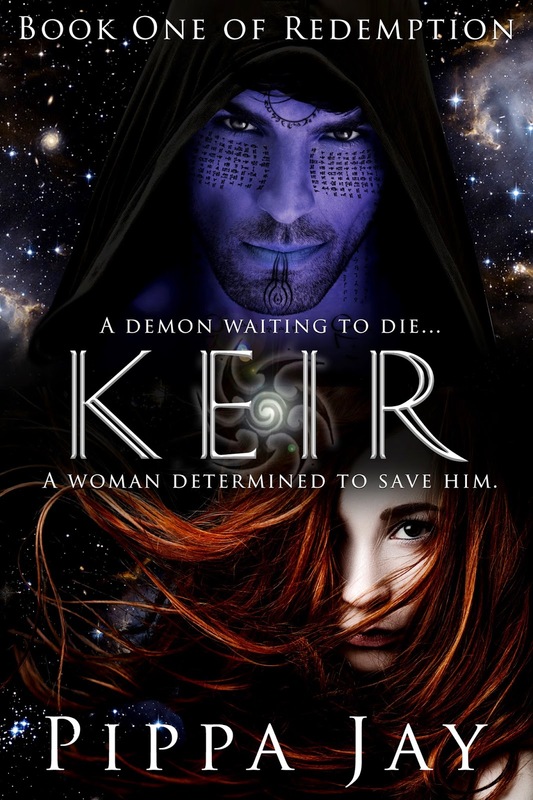 I’ve also got the last book in my UF Sierra Fox series coming out on paperback in October. Asides from that, I don’t have any other contracted stories at the moment, but I’m working on some spin-off novels. I’ll also soon start working on the last two RECAST stories. So I hope to have more news later in the year. DASH will be released from Samhain Publishing on May 26. How #Alien Are Your Characters? One question that my editor asked me on the first round of copy edits many moons ago now was why all my characters were human or humanoid. 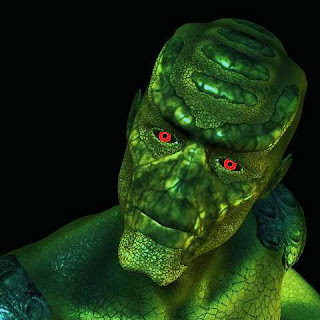 Why were there no aliens who, basically, looked more alien? For my first book I wanted to keep things simple. And I felt that in a galaxy full of diversity, those species who had more in common with us would be more likely to interact, and to therefore form friendships or even romantic attachments. For instance--who do you spend the most time with? A best friend? A partner? Work colleagues? Family? Obviously with family you have that tie of blood and unity that (most) families take as the basis for their relationships together. You might not have chosen each and every one of your work colleagues to be with, but you’ve (presumably) all chosen to work in that profession and therefore have that bond. With a best friend you often have shared experiences and/or interests--things that unite you. With a partner there must have been some initial attraction that has led to a mutual bond and the desire to spend (hopefully) the majority of your lives together. So in each relationship, there are one or more areas of related interest or goals that connect you. That compel you to spend time together. So it seemed logical to me that races with certain aspects in common might be more inclined to socialize and interact together than, say, those whose even basic needs are incompatible with our own. An oxygen-breathing race like us, for example, would be unlikely to want to spend time with a race that breathes or needs cyanide. A marine species may not want to risk asphyxiation in our atmosphere any more than we’d like to drown. It wouldn’t be impossible, and the very nature of a completely different society would no doubt compel a lot of humans to actively pursue such interactions, but the average person would probably seek the simpler solution. How many of us learn to deep sea dive, for example? How many would want to learn? Of course, there may be other ways to adapt ourselves in the future--as an example I recommend Neal Asher’s books where cybernetic and genetic adaptations abound--which would make these interactions easier, perhaps even commonplace. There are more alien-style aliens in the universe I’ve created. Few interact with the humanoid races that tend to have dominated my stories so far. But there are always opportunities to explore those in the future. What’s your view on it? Do you think I’m just evading the issue with my reasoning? Do you go for the most outlandish species you can imagine, or do you prefer to keep yours close to human? When Fae is trapped in a cave-in at a dig site and wakes up with fake memories, A'yen knows who’s to blame. Proving it is the hard part. Things get worse as his past relationship with a human male, a man once again part of his life, is used to trap him and try to turn the people against him. And destroy his marriage. I read this book in three days; it's possible to read it in one if you don't have other commitments. The narrative completely captivated my mind, holding it hostage for three days and beyond. Another superbly written instalment to add to the A'yen's Legacy series. I can understand why. 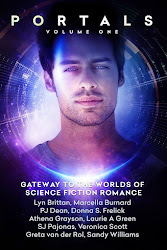 It has science fiction and it has romance. For me both are captivating but together they are quite strong, because they combine two of the things I love. It’s been many years since that time and I am writing romance now and learning about the intricacies of that genre too. Now, I find that SF romance is still a bit of a thing and I’m loving it. Check out Ms. Hanson's post, which includes some book recs by Aussie authors!